I've been watching a DVD copy of The Saint: Seasons 1&2, which was a Christmas gift I received from my daughter and her boyfriend. I've been a huge fan of The Saint since the British TV program first aired on American TV in the early 1960s when I was a teenager. 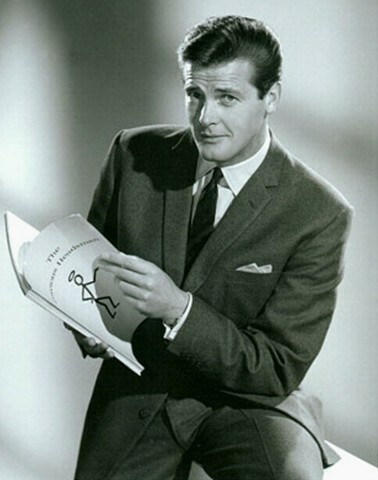 I went on to read Leslie Charteris' novels and short stories about Simon Templar. Rober Moore's Templar was a cool, witty and tough globe-traveling crime fighter (although The Saint himself was a Robin Hood-type of crook). Although I would later dislike Roger Moore's light and comedic portrayal of Ian Fleming's iconic character James Bond, I thought his portrayal of Leslie Charteris' Simon Templar was near perfect. I enjoyed listening to the DVD's audio commentary and hearing the clever, classy and amusing Moore and the TV program's producers discuss the series and the episodes' back stories. Modern-day Robin Hood. Wealthy man of mystery. Debonair rogue. Call Simon Templar what you will, but never cross THE SAINT. A timeless figure of adventure since his creation by Leslie Charteris in 1928, The Saint has thrilled adventure aficionados with his exploits in a variety of media, including novels, movies, and radio—but nowhere was the dashing Mr. Templar more indelibly realized than in his 1960s television series, starring the perfectly cast Roger Moore in the title role. 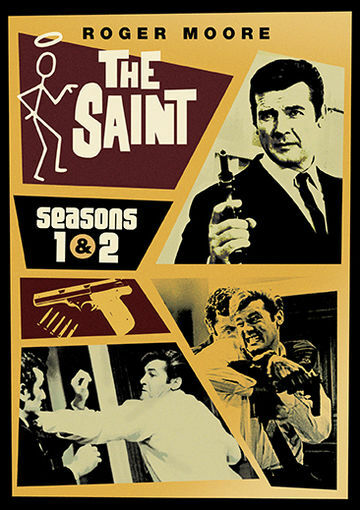 Seasons One and Two of The Saint set the stage for what would become a six season run on television, and paved the way for the dashing Roger Moore to take on the role of an even more famous man of action later in his career. With guest starring appearances by such notables as Oliver Reed (Tommy, Gladiator), Academy Award-winning actress Julie Christie (Darling, Doctor Zhivago) and a pair of beauties from the spy classic Goldfinger (Honor Blackman and Shirley Eaton), The Saint is a wild and witty adventure that is every bit as fun and exciting today as it was when it first aired. Audio Commentary On "Luella" By Roy Ward Backer (Director) And Sue Lloyd (Guest Star).